The DIA Group’s relationship with the industry is based on the recognition of free competition as a guarantee of business efficiency and the respect of consumer rights to quality products at the best prices. Accordingly, the company’s relationship with other operators in the sector will always respect the 31 scenarios that imply unfair commercial practices as defined in Directive 2005/29/CE of the European Parliament and the Council. The countries in which the DIA Group operates have a low level of concentration in the sector, with very regionalised operators and specialists in the development of proximity shopping. To cope with the negotiating capacity of these large companies, for a while now the European retail distribution sector has been involved in a process of commercial partnerships between operators. 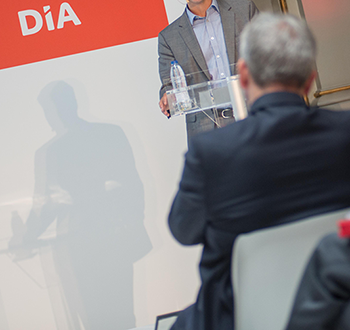 DIA has signed commercial partnerships with Eroski in Spain, with Intermarché in Portugal, and with Casino in France, with the aim of passing on to consumers the efficiency gains. The suppliers chapter of this report provides more details about these partnerships. Moreover, the DIA Group’s partnerships with other operators are crucial in order to tackle global challenges, and everyone’s participation is required. The reduction in the use of packaging, the awareness of alcohol consumption among children, and a reduction in the logistics footprint in the transport segment are some of the examples of where DIA is present through partnerships with third parties. Eurocommerce: DIA is present in this European distribution union through its participation in ASEDAS. ASEDAS (Asociación Española de Distribuidores de Autoservicio y Supermercados – Spanish Association of Distributors, Self-service Chains, and Supermarkets). The company is part of the management board. CEDAC (Consejo de Empresas de Distribución y Alimentación de Cataluña – Council of Distribution and Food Companies of Catalonia). The company is part of the management board. Spanish Network of the Global Compact. The DIA Group has been a member since 2012. Ecoembes. This organisation aims to protect the environment by recycling and promoting the ecodesign of packaging in Spain. The DIA Group is a founder member and member of the Management Board. AECOC: (Asociación Española de Fabricantes y Distribuidores – Spanish Association of Manufacturers and Distributors). The DIA Group is on the Management Board through its CEO. CEL (Centro Español de Logística – Spanish Logistics Centre). The DIA Group has been present in this organisation since 1995 and occupies the vice-presidency of the management board. PACKNET (Plataforma Tecnológica Española de Envase y Embalaje – Spanish Technological Platform of Containers and Packaging). The DIA Group is a founding member. AEA (Agencia Española de Anunciantes – Spanish Advertisers’ Agency). The DIA Group has been a member since 2001. AGERS (Asociación Española de Gerencia de Riesgos y Seguros – Spanish Association of Risk Management and Insurance). IGREA (Iniciativa de Gerentes de Riesgos Españoles Asociados – Initiative of Associated Spanish Risk Managers). Expofranquicia: The DIA Group is a member of the organising committee. Asociación Española de Franquiciadores(Spanish Franchisers’ Association): The DIA Group has been a full partner since 1992, and a member of the management board. AUTELSI (Asociación Española de Usuarios de Telecomunicaciones y de la Sociedad de la Información – Spanish Association of Telecommunications Users and of the Information Society). AERI ((Asociación Española de Relaciones con Inversores – Spanish Association of Investor Relations). The DIA Group has been a member since 2012, and holds the Treasury position. AOP (Asociación de Operadores para la Portabilidad – The Association of Operators for Portability). The DIA Group has been a member since 2009. APED (Associação Portuguesa de Empresas de Distribuição – Portuguese Association of Distribution Companies): This is the supermarket union in Portugal. APF (Associação Portuguesa de Franchising – Portuguese Franchising Association): This is the franchise association in Portugal. ASU (Asociación de Supermercados Unidos – Association of United Supermarkets): This is the supermarket union in Argentina. The DIA Group has a close and open relationship with media outlets, and it is proactively involved with them on a daily basis through its External Relations Department. In line with this policy of transparency and the opening up of its activity to the society in which it operates, during 2017 the company published a total of 170 press releases. In addition, the communication department has several information tools, such as the corporate website, the group’s corporate blog, the press office, presentations, press packs, and press conferences to report on all the projects and news related with the Group’s activities. Together with its customer service and permanent telephone availability, the company channels requests from media outlets and various official bodies through the email comunicación@diagroup.com, which in 2017 processed more than 2,100 queries and requests. In 2016, the company set up a new corporate account on Twitter, in English and Spanish, which serves as another communication channel with external agents (which include more than customers) such as media outlets, shareholders, investors, ONGs, and government institutions, among others. The company also set up a corporate blog that deals with regulatory issues, among others. At the end of 2017, the company also created a corporate account on Instagram, with the aim of adding audio-visual content and complementing the daily activity of the External Relations Department. DIA has maintained its commitment to responsibility and respect for the environment in which it operates and for the people with whom it works, in line with what has been written in this report. Furthermore, given the high level of penetration of its store network in the neighbourhoods and towns in the countries in which it operates, the company feels the obligation to position itself and support certain social causes that are important for its customers and partners. Accordingly, every year, in partnership with various non-profit entities and associations, it implements a series of social initiatives through its own CSR policy, through which it clearly and transparently sets out the procedures for these partnerships. During 2017, the company focused once again on its social projects and making food reach the largest number of people possible, in line with its main business activity, which it knows how to do efficiently. Moreover, in Spain, the DIA Group has historically promoted awareness of the fight against rare diseases that mainly affect children, and it has sponsored the Spanish Basketball Federation. Pursuant to this sponsorship, the several projects related with the causes that the company identifies the most with have been launched: promoting sports, gender equality, and support for the most vulnerable children. In turn, Argentina, Brazil and Portugal have invested in various social awareness programmes, both for employees and customers worldwide. During 2017, the DIA Group delivered more than 3.8 million kilos of food to the Food Bank in Spain, implying an increase of more than 6% versus the previous year, and seven times more than in 2012. This figure was possible thanks to the solidary participation of its customers, the company’s own employees, DIA franchisees, and the suppliers of products and logistics services. This figure includes deliveries from the company’s warehouses (more than 800,000 kilos), the “Gran Recogida de Alimentos” – “Big Food Collection” (2.8 million kilos), and the various “Operaciones kilo” – “Kilo campaigns” carried out during the year (145,500 kilos). Food donation also takes place in the rest of the countries where DIA operates. In 2017, Brazil donated more than 760,000 food kilograms through Mesa Brazil, while Argentina gave away more than 192,000 food products to different charity organizations. 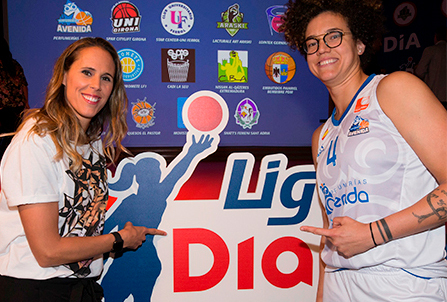 In September 2017, the DIA Group signed an agreement for the next two seasons whereby the company has become the main sponsor of the Spanish women’s basketball league, which is now called “LigaDIA de Baloncesto” (the DIA basketball league”). This agreement represents a new step forward in relation to the partnership signed a year ago between both entities in the context of the Universo Mujer Baloncesto project, a comprehensive programme for the development of women in society and sports, headed up by the Spanish Basketball Federation. The aim of this programme is to develop initiatives that contribute to social improvement and transformation through the values of women’s sports as a whole. DIA is focused on this programme to promote women, and in partnership with the Spanish Basketball Federation, it will develop a series of projects that will contribute to the objectives defined, and in which both customers and employees will participate. In the context of the agreement that the DIA Group has with the Spanish Basketball Federation (FEB), with whom the company signed the first sports sponsorship deal in its history a year ago, during 2017 the company developed social action initiatives aimed at promoting the values of this sport among such diverse groups as young children and retirees. This gave rise to the “Superliga DIA” a children’s basketball competition in the school context, which in its first edition saw 192 teams from all over Spain take part, made up of 2,300 boys and girls aged between 9 and 10. In line with the promotion of the values of sports and a healthy lifestyle, a programme called “SuperSenior” was also launched, for people over the age of 50, focused on tackling physical inactivity and promoting active and healthy ageing using basketball as the main tool, and with the work of technical experts. In both cases, in addition to the close partnership with the Spanish Basketball Federation, the Regional Federations, Autonomous Regions, and town halls also got involved. DIA maintains close ties with several national and international non-profit organisations focused on improving the lives of vulnerable children. This is a programme to guarantee that more than 800 children whose families are facing economic hardship can have snacks. Specifically, the agreement stipulates that the DIA Group distributes, on a weekly basis, a menu that is appropriate for children participating in the “Éxito Escolar de Cruz Roja” (“Red Cross Academic Success”) project in Extremadura and Galicia, including healthy regional products. The menus change daily and have been prepared by a Red Cross nutritionist to guarantee that they are rich in nutrients, varied, and appropriate for the children’s development stage. The menus include juices, cereals, dairy products, fresh fruit, dried fruit, and water. The DIA Group and the Fundación Altius Francisco from Vitoria presented the ‘1 Kilo de Ayuda + Cena para Dos’ (“1 kilo of Help and Dinner for Two”) project, an initiative that has helped to train 650 young unemployed people in the Madrid region during 2017. The aim of this agreement reached between both organisations is the social integration and employability of young unemployed people through personalised development paths. Accordingly, the DIA Group’s customers could acquire a “1 kilo of help” card at the checkout when paying for their shopping, at a cost of 1 euro. By buying this card, in addition to helping those most in need, the customers participated in a monthly lottery of five dinners for two, valued at 100 euros per person, to be chosen from a list of the best restaurants across all the Spanish provinces. 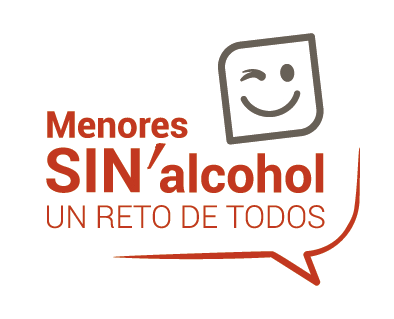 The DIA group implemented the “Menores sin alcohol, un reto de todos” (“Children without alcohol, a challenge for everyone”) campaign, an initiative aimed at finding solutions to the growing problem of alcohol consumption among children, and which institutions, civil society, and the general public have been condemning for a while. This is a transversal campaign in which employees, franchisees, and suppliers participate, raising awareness through posters in stores and other initiatives, about this problem affecting one segment of society. In order to publicise this, a website has been created (www.menoresinalcohol.com) which includes the key figures, as well as information about the objective of the campaign, as well as news related to the project, which will ensure it continues during 2018. The aim is to try to provide more than 20,000 employees with the necessary tools to ensure that children do not purchase alcohol in their stores, thus trying to curtail possible early consumption of alcohol among children. As part of this agreement, the DIA Group and the Federación Española de Bebidas Espirituosas (FEBE – the Spanish Federation of Spirituous Beverages) reached a pioneering partnership agreement to implement initiatives aimed at trying to prevent alcohol consumption among children, in the context of the respective campaigns with this aim in mind. Through this partnership, the first of its kind among companies in the sector and a distribution company, FEBE is involved in the DIA Group’s campaign ‘Menores sin alcohol, un reto de todos’ (“Children without alcohol, a challenge for everyone”), and the DIA Group is involved in the ‘Menores ni una Gota’ (“Children, not a drop”) campaign, an initiative promoted by the FEBE. This partnership aims to carry out activities focused on information and prevention directed at both children and families, with the aim of providing them with the tools to tackle possible early consumption of alcohol among children. 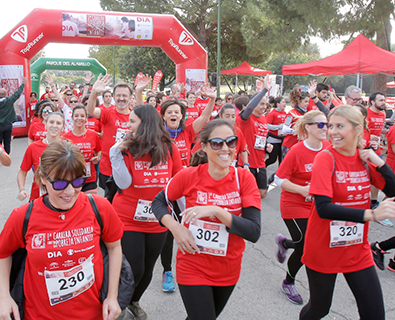 The DIA Group and Save the Children started the `I Carrera Solidaria contra la Pobreza Infantil’ in Seville. This family-focused social sports event, for people of all ages, aimed to raise funds for projects that Save the Children is involved in to help poverty-stricken children in Seville. This initiative (in which, in addition to these two entities, the regional government of Andalusia, the town hall of Seville, and one of DIA’s suppliers, Jolca, also participated) is established within the Alliance against Child Poverty in Andalusia, set up in June 2015, and to which the regional administration and 31 entities and organisations from civil society in Andalusia have put their name. Its aim is to counteract the effects of the crisis, exclusion, and child poverty. The common challenge was to improve the lives of boys and girls in Andalusia and minimise the impact that the economic crisis could have on them. For yet another year, the Federación Española de Enfermedades Raras (FEDER) organised the 8th Madrid race for Hope in the Casa de Campo of Madrid, with the aim of raising awareness about these pathologies through sports. The DIA Group, which has sponsored this event since its first edition, continued its commitment to this event for yet another year, inviting all of its employees and customers to join in the cause. This activity represents the final touch to the Rare Disease Day that was initiated worldwide on 28 February (the “most special day of the year”) and in which more than 5,000 people were involved during a morning of sports, fun, and family activities. The DIA Group is part of the Empresas por una Sociedad Libre de Violencia de Género programme that is promoted by the Spanish Ministry of Health, Equality, and Social Services. This agreement aims to raise awareness about equality, respect for basic rights and the creation of a society free of violence against women. These messages are sent out both internally and externally, also involving customers. 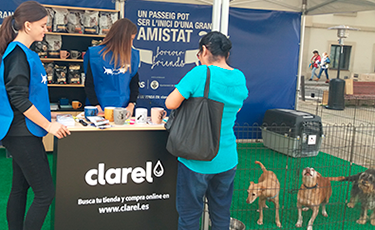 Clarel, the DIA Group’s banner specialised in personal and household care, set up an initiative called Forever Friends, which aims to find families for abandoned dogs. Under the slogan “A walk can be the start of a great friendship”, the Asociación Protectora de Animales de Granollers, in Catalonia, took some abandoned dogs to a public area and allowed members of the public to taken them for a walk along an agility circuit together with one of the association’s volunteers. In addition, free samples of AS products (the DIA Group’s exclusive pet food and pet care brand) and 50% discount coupons for the purchase of AS products, both in Clarel and DIA stores. The DIA Group and the Labdoo collaborative platform signed an agreement to send discarded laptops to children and schools in the third world, with the aim of providing new solutions to the educational systems in those regions, and giving a second life to devices that are considered obsolete. The computers sent are previously reformatted and loaded with educational software that include exercises and activities in maths, science, and other subjects. In addition, DIA employees who are interested in this initiative could also take part by sending their own devices, or could even take on a more active role by delivering the computers themselves to third-world countries if they had a trip planned that coincided with one of the areas where the platform operates. For yet another year, the DIA Group and its employees took part in solidary walks organised by the El Comercio newspaper, providing provisioning for those handing out water, juices, and fruit, both in Gijón and Avilés. The initiatives were carried out in favour of the Asociación Gijonesa de Caridad Cocina Económica and Cáritas Asturias, which were in charge of providing basic needs (food, accommodation, and clothing) and social assistance to the people most in need. 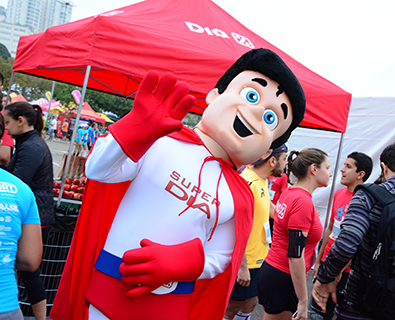 In 2017, the DIA Group in Brazil organised once again, together with GRAACC (Support Group for teenagers and children with cancer), the sponsorship of the “Carrera del Sueño” (the “Dreams race”), which aims to raise funds to treat children and teenagers with cancer. During the race, a range of DIA brand products were handed out to participants, and the winners of all categories were given some of the company’s own-label products. For yet another year, Brazil started the do Agasalho campaign to collect clothes among group employees. In 2017, more than 4,500 items of clothing were collected, to be donated to the most deprived families during the winter period. All of the company’s regional centres in Brazil took part. The clothing was delivered to the Núcleo Assitencial Anjos da Noite association. Employees who volunteered to help were involved in collecting and delivering the clothing. DIA Brazil organised a football cup in which 24 teams participated, made up of employees, and several of the company’s suppliers were invited to take part. Both DIA and the suppliers were involved in providing products, managing to collect more than 500 kilos of food, which were distributed among the children’s charities that selected the three winning teams. 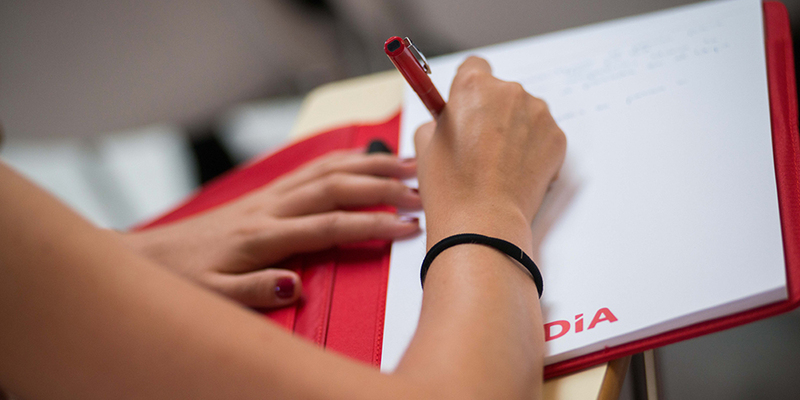 DIA Brazil was involved in its first solidarity initiative directly focused on store customers. The aim was to promote and mobilise society in favour of a cause, generating resources and visibility. Accordingly, it was decided that for each bag of rice sold, one Brazilian real (also converted into rice) would be donated to the “Amigos del Bem” (“Friends of the Good”) association. With the participation of 670 in the state of Sao Paulo, more than 30 tonnes of rice were collected, providing food for more than 21,000 people for an entire month. Once more, the DIA employees decided to provide gifts to destitute children so they did not go without presents at Christmas. For the third year, the gifts collected as part of the campaign were donated to the children in need of the Lar do Alvorecer association. For yet another year, during August, the company organised a collection of money and toys among the employees of DIA Argentina, and this was given to the new paediatric ward of the Muñiz Hospital in Buenos Aires, where the children are hospitalised. The company doubled the amount collected by its employees. The employees of DIA Argentina organised a campaign to buy school smocks that were donated to the Merlo ‘Sembrando Sonrisas’ kitchens, in the province of Buenos Aires. DIA Argentina also provided some school supplies. As it has done each year, DIA Argentina organised a Christmas campaign among employees to provide toys to many children in need, thus helping them to enjoy Christmas Eve. This year, the donation was given to children abandoned by their families, or victims of abuse who live in the ‘Palestra’ home in Mar del Plata. For yet another year, DIA Portugal took part in the ‘Futebol na Rúa’ initiative, an event organised by the CAIS association to fight against poverty and to promote the social integration of young people through sports. Food and hygiene kits were distributed to 250 children, along with T-shirts for training in the championships. The employees of DIA Portugal joined in to support those affected by the fires that affected a large part of the country during the spring and summer of 2017. The company mainly provided food and clothing. The DIA Group has a central mailbox, rsc@diagroup.com, which receives any queries or partnership requests related to Social Responsibility and Social Action. During 2017, more than 1,050 queries were handled across the four countries in which the company operates. This line of communication is completed with a notification service set up by the DIA Group. Interested parties can subscribe in order to receive content of interest with all the corporate news. This service, which can be reached through the corporate website, has more than 1,000 subscribers..